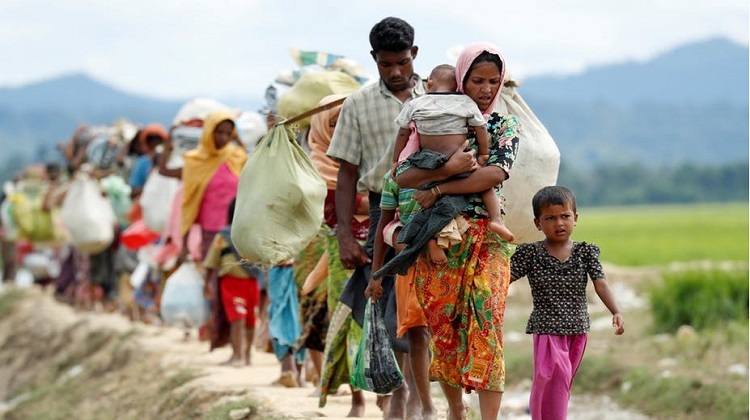 UN Secretary-General’s special adviser on prevention of genocide Adama Dieng on Sunday called on the international community to put pressure on the government of Myanmar to fulfill its commitment for the safe and dignified return of Rohingyas to their place of origin. “The Myanmar government has signed an agreement with Bangladesh. But to my view, still they’re not fulfilling their commitment,” he said. Dieng said it needs to be ensured that the conditions for safe and dignified return of Rohingyas are put in place but it is not yet the case. The UN Special Adviser, who is visiting Bangladesh for the third time, was addressing a seminar titled ‘1971 Genocide in Bangladesh’ organised by Bangladesh Institute of International and Strategic Studies (BIISS) at its auditorium. Foreign Secretary M Shahidul Haque, Director, Centre for Genocide Studies and Liberation War Museum trustee Mofidul Haque, BIISS Chairman Munshi Faiz Ahmad and its Director General Maj Gen AKM Abdur Rahman, among others, spoke at the event. The UN special adviser highly appreciated the generosity of Bangladesh and its people and mentioned Prime Minister Sheikh Hasina as one of the three women leaders in the world who have demonstrated leadership and kindness. Highlighting his mandate, he said all must be prepared to take action when the alarm is heard and must move from reluctant to “preventive approach” when they see the first signs of concerns. Giving much emphasis on building resilience, the UN official said he is extremely pleased to note that such resilience has been demonstrated by the government of Bangladesh. Because, he added, after going such terrible events in this country like 1971 Mass Killings and rebuilding the country that is a great achievement. Sharing the histories of genocides, the UN officials said, “The world cried never again but never again became time and again, time and again."